There is a strong argument for making this game the Game of the Week and if you have a keen interest in Euroleague betting, you will be glued to this Group E game. Both teams are currently tied for second place with a 5-2 record, so there is all to play for. When the teams met in the opening week of the Top 16, we were served up a classic in Greece. The home side managed to turn around a double-digit score line in the third-quarter to grab the 83-76 win and Esteban Batista was in sparkling form, grabbing 16 points in the win. Given that Maccabi slipped to a home defeat before the break, they will be desperate to prevent that from happening again and they will want to take revenge on Panathinaikos for the earlier loss. Maccabi come into this game with a 12-5 record for their Euroleague exploits, which contains the 5-2 record for the Top 16 and a 7-3 record in the regular season. With an average of 78.8 points per game this season, there will be a need to keep up that scoring form if they want to grab the win in this game. Devin Smith is a key man for the Israelis, offering up an average of 15.9 points per game this season and an average of 6.9 rebounds per game. Another top player for the Israeli side is Jeremy Pargo, who has served up an average of 5.8 assists per game. 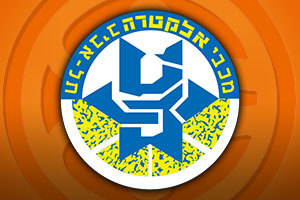 Maccabi Electra sit at the top of their domestic league with a 17-2 record and they were 74-70 winners in their most recent game against Maccabi Haifa. Panathinaikos hold a 10-7 record this season in the Euroleague, with a 5-2 record in the Top 16 and a 5-5 record in the regular season. The Greek side have managed an average of 76.1 points per game this season and their top marksman has been AJ Slaughter with an average of 11.9 points per game. Esteban Batista has served up an average of 5.9 rebounds per game while Dimitris Diamantidis has provided an average of 6.0 assists per game this Euroleague campaign. In the Greek league, Panathinaikos are in second place with a 15-2 record, just behind Olympiacos who hold a 15-1 record. In their most recent game Panathinaikos grabbed a 107-76 home win against Trikalla. With Maccabi being desperate to grab this win, odds of 1.90 for them having a -5.5 handicap have to be seen as being attractive. If you are looking to get involved with the Over/Under market for this bet, going Over 150.5 is likely to be a sound bet and you can find this at odds of 1.90. Both of these bets are available with Bet365, which is the natural place to go if you are looking to place bets on the Euroleague campaign. Bet Now!